Everyone knows what clogs are and what they look like. At least, that's what many think. Most people know the clogs with the three crosses in the coat of arms of the city of Amsterdam, some maybe the 2 V-vanjes of Van Vilsteren, a clog factory that was located near Zwolle. But our visitors all say that they did not know that there are so many beautiful and different clogs from so many countries. Come and be surprised! After visiting the Wooden Shoes Museum you will see clogs where you have seen them before, but which you did not notice before. This way we make every visitor a little ambassador of this beautiful museum. For the visitors a film is played (text English, German or Dutch) on which clogmaker E. Wietzes shows how clogs are made. A guided tour on paper is available in the workshop and in the exhibition space. The single clog machines from Germany, France and the Netherlands are installed in the workshop. Very special is the wooden clog machine from 1915, made in the province of Groningen. In addition to the so-called "Wietzes corner", there are also a collection of molds from the Akkerman family from Sondel (Friesland), Dutch tools and sawing machines. Through the hall the visitor enters the reception area with counter and museum shop. Here the visitor can also drink a cup of tea or coffee and the like. 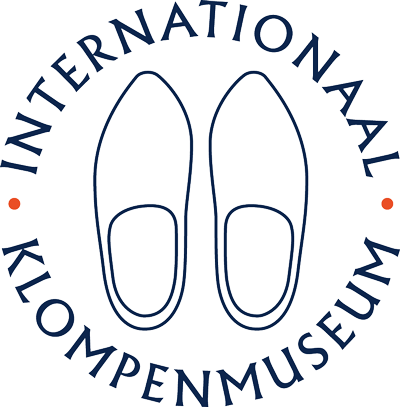 This year the focus of the International Wooden Shoes Museum in Eelde is on the Clog as Cultural Heritage of Europe. Wooden footwear has existed since ancient times and was worn a lot during the Middle Ages. Today, the clog is still worn in large parts of Europe. From Groningen Qbuzz no. 9. Bus stop centrum Eelde. Open: Tuesday to Sunday from 14.00-17.00, 30 March - 1 November 2019. Even outside normal opening times, up to 50 - 60 people, 30 March - 21 December 2019. There are special prices for group visits (see entry fees). You can reserve a group visit via the reservation form at the bottom of this page. The Wooden Shoes Museum offers a number of fun group packages for your visit to the museum. The first three packages only include a fully organized visit to the Wooden Shoes Museum, the other two packages below are day packages where you not only visit the museum but also enjoy a snack and a drink and another activity. The packages can be found below. For the quest with the assignments the children need about 15 minutes. A lesson bag with images, plank from block to wooden shoe, informative books about clogs, coloring pages and clog makers tools. In October it is Kindermaand in Drenthe; then there are additional actions. Since 2002, the museum has been participating with Oktobermaand Kindermaand. The set-up is every time that the film and a tour of the museum are an educational part of the museum visit. To conclude the visit there is a DIY activity for children from 4 to 13 years with the clog central. The classes that visit the museum opt for a particular arrangement. The tour is attuned to the age of the pupils during school visits. Within the Edu group we looked at the range in the store and the possibilities to develop an offer especially for children. The result is a coloring book. The images in the coloring book are unique and created by a member of the Edu group. Furthermore, there is a kit for a clog with a tarpaulin in the store, again this is the result of the work of the Edu group. The museum does not actively offer internships but responds to requests from students. Depending on the student's request, it is checked whether an internship in the museum is possible. The applications vary from an internship for several hours to an internship for a week. It is possible to be guided individually or in a small group in the museum by a volunteer. In the museum the book "European clogs" is for sale, a private edition of the museum. The museum has many reference books and articles. In the shop the "presentation booklet" about clogs is sold. Do you have any questions about the collection or about clogs in general: e-mail us. Questions that enter via the museum's website regarding clogs or clog-makers are answered by the curator. The documents above are all in Dutch. The range in the store offers something for everyone around the theme clogs and souvenirs and gifts related to the Netherlands / Holland. From key rings and wooden tulips to, of course, the original Wietzes clogs. Our volunteers also make souvenirs themselves, such as guest towels with an 'old Dutch souvenir strip'. The sale in the store is also an important source of income for the museum. A wooden shoe with a sailing kit. The Wooden Shoes Museum is worth a visit! Drenthe is hospitable, with hardly any traffic. A visit to the Wooden Shoes Museum is easy and literally very accessible: buses can be parked for free at the door, guests need only 20 meters to walk to the museum, all entrances and passageways are wheelchair / rollator friendly, there is a disabled toilet and everything is ground level. Please note, there are no special facilities for the blind and visually impaired. We offer drinks, snacks and souvenirs in our small museum shop. The Museum is heated; also in the early spring and in the winter it is comfortable with us. Photos may be made for private use on their own social media, but always mentioning the name of the museum. A link to our site is very much appreciated. For groups you can book a guided tour. A visit with a group takes about 1½ hours and includes coffee / tea with cake / cake or cake - before or after the tour -, a video presentation of clogs made by hand and with the machine, a tour of the workshop with an explanation of the machines and a tour of the exhibition space. We end up again in the souvenir shop / the coffee room. To make a group appointment for up to 60 people, please follow the steps below. You can find our packages at 'Arrangements' . If your application is complete, it will be processed.